This charming semi-detached townhouse sits on a wonderful location at walking distance of the centre of the picturesque town of Aubusson with all amenities. This place can literally be reached by public transportation from all over the world; the trains to Paris for example leave at a 5 minutes walk from the house. The property is renovated with taste in 2005. It is warm and comfortable in the winter, yet cool in the summer. 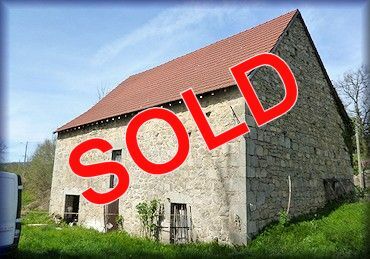 Well-sized building plot of 3,180 m² with half of a stone barn; jointly owned with a local farmer. A permit for building a house on the property has been granted. The barn is useful for storage, or as a workshop/garage. The plot is located in a small hamlet with all amenities close by. The barn already has electricity and connections for water and telephone are available at the entrance of the plot. The property offers great views over the sloping countryside. Detached barn of 9.5 x 13 metres to convert on a 1,000 m² plot. The barn was built around 1900 and is situated in a rural, tranquil location, yet close to a town with all amenities. The ground floor is currently divided into three rooms, each with its own entrance. The first floor is one large open area of 124 m². The barn is high enough to create a second floor. The roof and A-frames have been replaced in 2010. Planning permission to convert the barn into a spacious family home is granted. Well-sized building plot of 3,627 m² in a tranquil hamlet at just 6 kms from a town with all amenities, restaurants, culture, etc. 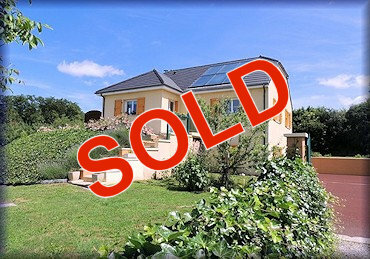 This is a wonderful opportunity for people who want to enjoy the beautiful nature of this part of France in their own built home. Planning commission has been granted to build a 170 m² house here. The flat land is bordered with trees. 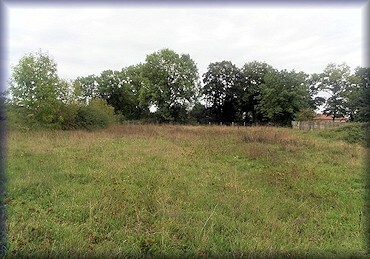 At 1 km from this plot, the same owner has a 7 hectares piece of farmland for sale. See ref. LIM-1233. Farmland of 7 hectares (72,060 m²) on the edge of a tranquil hamlet at just 6 kms from a town with all amenities, restaurants, culture, etc. This is a wonderful opportunity for people who want to enjoy the beautiful nature of this part of France and start farming. The farmland has a very small stream running across it. Another option to consider would be to use the land to develop a Golf Driving Range, it would be perfect for this, if planning permission could be approved. At 1 km from this land, the same owner has a 3.627 m² building plot for sale with planning permission to construct a 170 m² house. Farm here, build there. See ref. LIM-1232. This nice village house with garage is situated in a quiet street, not far from towns with all amenities. The property has four bedrooms and is ready to move into, but has to be modernised to meet today's standards. The garage can be accessed from the inside and above the garage is a large room that could be converted to further increase the living space, if desired. The plot measures 336 m² and the maintenance-friendly garden contains mainly grass. Village house with two garages situated in the centre of a village with all amenities. The house with integral garage has been renovated between 1995 and 2005. It is well-maintained, in good condition and ready to move into. At 100 metres from the house is a fully fenced garden of 360 m² with the second garage. This attractive detached house sits on a tranquil, rural location, yet close to a town with all amenities and a big weekly market. It is ready to move into, but does need some decorating to make it real home. It offers several opportunities to increase the habitable surface. Both the integral workshop and the spacious attic can easily be converted into extra bed and or bathrooms. A driveway gives access to the 1,300 m² garden with panoramic terrace and a pond. Large terraced house in the heart of a village, not far from a town with all amenities. This delightful house comprises 3 floors of spacious living area, featuring 4 bedrooms, a large bathroom and separate WC, living room with fireplace, fully fitted kitchen/dining room with wood burning stove. The roof has been renovated in 2008. The property is in excellent condition and ready to move into. In the 42 m² garden is a detached workshop/store house. This spacious attached town house with history and character is located in the centre of a charming small town with all amenities at walking distance. It is fully double glazed and habitable immediately. The entrance is on the first floor via balustrade steps with a small flowerbed below. The second floor has two bedrooms en suite, the third floor has good sized rooms in renovation and a bathroom, the fourth floor has one room and finally two attics on the fifth floor. 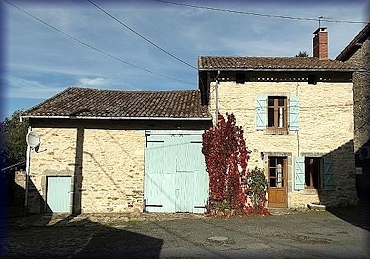 A charming, detached cottage in the heart of the Limousin, known for its many lakes and forests. Ideal for people who love walking and unspoiled nature. The holiday home is situated in a small hamlet, just 15 minutes from a pleasant village with all amenities. This fully renovated property is well-maintained and offers all the comfort one needs. On the ground floor we see a fully equipped kitchen, a dining room, a living room and a modern bathroom. There are four bedrooms on the first floor. The maintenance-friendly, fenced garden of 863 m² offers much privacy and great views over the surrounding forests, hills and countryside. Former bar/hotel/restaurant to renovate, located in the centre of a lovely town. 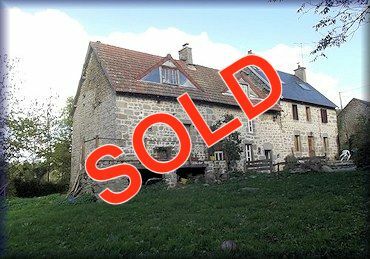 This spacious property is a real challenge for someone who has always dreamt of starting a bar/hotel/restaurant in the beautiful countryside of the Creuse. This project requires a serious handyman/entrepreneur to bring this former business to live again. Besides the huge main building, there is a large garage/barn, a second garage and a courtyard with parking space for 12 cars. The property is habitable during the renovation process, if you don't care too much about comfort. The 1,142 m² terrain is big enough to turn it into a nice garden or terrace. This spacious semi-detached house sits on a tranquil location in a wooded hamlet with friendly neighbours. The charming house is attached on just one side to the neighbour's henhouse, so it feels like a detached property. The house has been very well-renovated whilst maintaining the authentic features. The 530 m² maintenance-friendly garden makes the house very suitable for holidays as well. 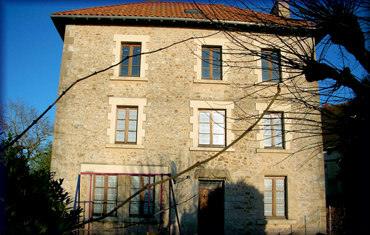 Typical traditional Limousin country house, tranquilly located near a village with all amenities. This house is ideal as a holiday lock up and leave or comfortable enough for a permanent home. The living/dining room and kitchen on the ground floor both have access to the garden. On the first floor are three bedrooms and a bathroom. In the 1,527 m² garden are three attached outbuildings. Charming farmhouse with large attached barn, set in the tranquil French countryside in the three lakes area, near a village with all amenities. This house has been fully renovated whilst maintaining many of the authentic features like the exposed beams and the stone walls. Most of the rooms have gorgeous wooden floors. There are 3 bedrooms, each with its own bathroom. The large attached barn could be converted to increase the habitable surface. The property is ideal for full time occupation or equally suitable as a holiday home. It is in excellent condition and ready to move into. In the 1,443 m² mature garden are two ponds, terraces and a natural stream with a bridge. Spacious, charming townhouse in a small, vivid town with all amenities. This is a very unusual house and has to been seen to appreciate its full potential. Outside stairs leading up from the courtyard to the main habitable accommodation. The downstairs accommodation which consists of another three rooms (two to renovate) that would be suitable for making into an apartment, as it has an entrance to the street and courtyard plus central heating, plumbing and electricity installed. On the other side of the courtyard there is a large utility/storage room with electricity and water and an attic above. The terrain measures 600 m² and offers full privacy. Detached cottage with separate detached bread oven and sheds, tranquilly located in a hamlet, close to towns with all amenities. This delightful and easily managed stone built cottage is surrounded by its own garden and orchard. It has been tastefully renovated and has exposed oak beams and beautiful local dressed granite throughout. It is comfortable and cosy. A small double bedroom on the first floor has a shower room with toilet and basin adjacent. On the second floor there is a double bedroom with en suite cloakroom (toilet and basin). The property is in very good condition and ready to move into. The terrain consists of two plots of 2,034 m² and 1.416 m². On the first plot is the house with the bread oven and the sheds: the other plot is 100 metres away. 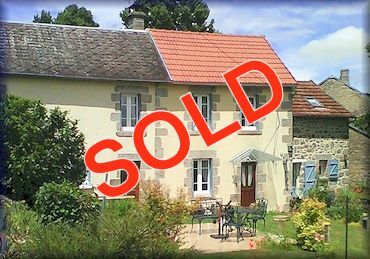 Traditional detached stone house in a quiet, elevated location in picturesque Limousin countryside near a town with all amenities. This very pretty property is not overlooked, and has been professionally renovated to an extremely high standard. It needs no work and is easy to maintain, so would make an ideal holiday house where you could de-stress, or a very comfortable home for full time living, as is currently the case. The fully fenced, very private garden measures 1,700 m² and there is 1,150 m² of woodland at a short distance from the house. This charming detached house with double garage is located in a beautiful, character village bordering the river Tardes. The property has been fully renovated and is ready to move into. There are currently two bedrooms, both with new en suite cloakrooms, and the large mezzanine offers room for guests. The house is both very suitable to live in permanently and for holidays. The 1,030 m² garden over two levels is well-landscaped and offers several terraces. This charming village house from 1974 with indoor garage and detached garage sits on a tranquil location at a small cul-de-sac. The house has three floors and on the second floor two extra bedrooms, or a large bedroom with en suite can be created. The 2,000 m² maintenance-friendly garden looks much bigger than it is because of the uninterrupted views over the hills. This attractive detached house with garage sits on a tranquil location on the edge of a village, yet not far from a beautiful town with all amenities. The house was built in 1860 and has been professionally renovated during the recent years. The 900 m² garden is fully fenced and maintenance-friendly. This semi-detached house is tranquilly located in a hamlet near a town with all amenities. The house has been completely renovated whilst maintaining many of the authentic features like the stone floor and the walnut/mahogany staircase. All windows and doors made to fit old property, all plumbing and electric wires are new and the solid oak kitchen is hand made. On the first floor (all timber) are three bedrooms, one with an en suite, plus a separate bathroom. The house is in good condition, well-maintained and ready to move into. In the 917 m² garden is a very large barn. Detached house with large covered terrace, tranquilly located near villages with all amenities. The property from around 1950 has been tastefully renovated. All ground floor rooms have access to the garden. The gorgeous kitchen is fully equipped. On the first floor are 3 bedrooms and 2 bathrooms, of which one en suite. In the 1,077 m² garden are a garage, a shed and a small pond. 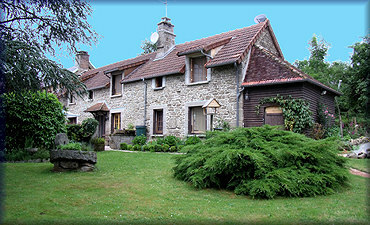 Detached farmhouse, tranquilly located in the Regional park Périgord-Limousin near towns with all amenities. This traditional stone house has been completely renovated whilst maintaining authentic features like the exposed beams and a large bread oven. One of the lounges is on a mezzanine and overlooks the spacious and charming kitchen/diner. In the 3,835 m² garden are several large barns and outhouses. They offer great possibilities for conversion into gîtes. This is a spacious well maintained house situated in an idyllic hamlet with views across open fields and the river Brame but well above flood level. Mobile traders visit weekly and the property is within easy access of local towns with all amenities. With three bedrooms and two bathrooms, it is an ideal family home. The maintenance-friendly garden measures 620 m². This gorgeous semi-detached house with adjacent barn, a second barn/garage and a cottage is located in a quiet hamlet with all amenities at biking distance. The house has been completely renovated by a professional and with three bedrooms and two bathrooms, it is an ideal family home. The rear garden of 1,177 m² is fully fenced and maintenance-friendly. Across the road is an extra piece of land of 416 m². This detached, fully renovated stone house with garage is located at the edge of a small and quiet village. The property has four large bedrooms and the other rooms are spacious too, most of them with authentic exposed beams. The fully fenced 800 m² garden offers full privacy and is maintenance-friendly. This contemporary house with gorgeous attached granite barn sits on a tranquil location on the edge of a small hamlet. The property was built in 1837 and has been fully renovated whilst maintaining the authentic features. The adjacent 100 m² barn offers great possibilities to substantially increase the habitable surface. The attractive 2,000 m² garden is situated to the rear of the house and the property offers uninterrupted views over the countryside. Detached house with attached guesthouse and large barn, located in a friendly village near towns with all amenities. This village house has been fully renovated in 2012. The spacious main house, with the guest house on one side and the barn on the other, offers two living rooms, a dining room, a large kitchen four bedrooms and two bathrooms. The guesthouse has its own front and back entrance. Together both properties are very suitable for a large family, but the guesthouse can of course also be rented out as a gîte or B&B. The 1,329 m² garden contains mainly lawns, mature trees and shrubs. Attractive village house, tranquilly located near towns with all amenities. This stone built 19th century, former farmhouse has been completely renovated with taste and has a warm, friendly vibe. It is currently run as a Bed and Breakfast – greeting various nationalities for an overnight stay. All four bedrooms have en suites. The vaulted cellar is always at an ambient temperature excellent for storing those preserves, vegetables and tubers. The attached barn and workshop offer many possibilities of either extending the house or adding a gîte to the facilities. The land is sufficient for keeping animals, camping or make the most of this tranquil setting and have a retreat. The property is in excellent condition ad ready to move into. On the 8,782 m² terrain are also two garages and a hangar. In a small hamlet, yet only 5 minutes from the city of Guéret, lies this fully renovated 19th century detached house. The property used to be a house with two attached barns. During the renovation it was converted into a large, comfortable home. The romantic new kitchen/dining room is fully equipped. There are three bedrooms and two bathrooms. If you want to enjoy the peace and quiet of the countryside, but also want to live near a large town, then this house is certainly worth visiting. 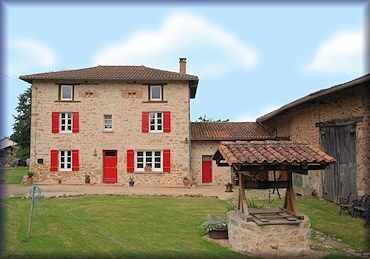 In the well-landscaped 800 m² garden is a large barn. 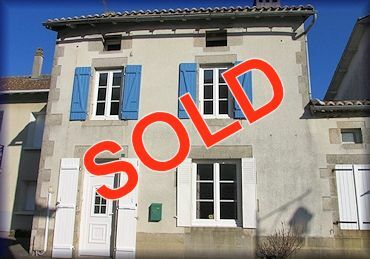 Very spacious detached, renovated village house. The property is constructed in stone with a slate roof and is very spacious, light and airy. The house/garden is enclosed with high stone walls and benefits from an up and over door which makes the property totally secure and private. The house itself is just over a hundred years old and is in very good structural and decorative condition. A covered private parking (underneath the master bedroom terrace) gives access to the 500 m² terrain with a large barn that could be converted into a gîte. This detached, renovated country house with garage and barn sits on a beautiful, elevated location on the edge of a small hamlet. With four bedrooms it is a great family home. As the house has two entrances it is also possible to rent out the first floor without loosing one's privacy. The total terrain measures 18,590 m² of which about half is adjacent to the house and the other half at 1 km. This large detached country house is situated in a small hamlet, yet close to large towns with all amenities. It has been tastefully renovated. A real eye-catcher is the huge farmhouse style kitchen with handmade units and wood burning cooking range which serves the central heating. The large 1,300 m² garden overlooks the peaceful countryside. Detached house on three levels plus separate detached workshop/studio/home office with mezzanine level. 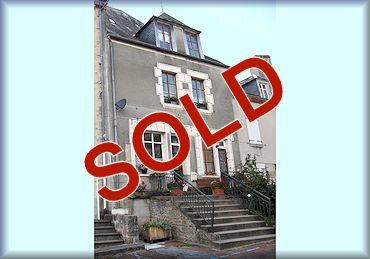 The property is located in a happy rural community with excellent accessibility to local towns and the cities of Périgueux and Limoges. The individually designed studio offers enormous potential. It is currently a fully heated artist studio and teaching space below and wifi equipped modern office on the mezzanine level. The fully fenced 1,500 m² garden has two entrances. 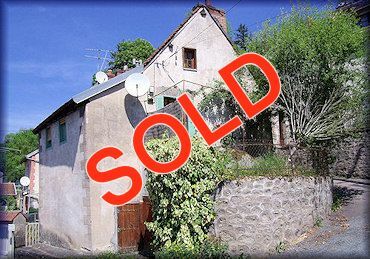 It is also possible to buy the house without the studio/gîte. Well-maintained detached bungalow with large barn, currently used as garage and workshop. This property is located in a hamlet near towns with all amenities. The bungalow was built in 1984, it is in excellent condition and ready to move into. With bed and bathrooms both on the ground floor and the first floor, it is an ideal family home. The attractive garden measures 1,400 m². Set back from the road along a private drive, the house, has been fully and tastefully updated and is in excellent condition and ready to move into. The layout provides flexible accommodation with up to five double bedrooms based upon an occupiers requirements. The garden around the house measures 2,023 m². The adjoining field of 6,242 m² is suitable for a number of uses. Detached house with stables and garage, tranquilly located in a small hamlet near a town with all amenities. This is a cosy low maintenance dwelling for animal lovers. Surrounded by beautiful countryside with abundant birdlife. The house has been professionally renovated throughout to a high standard by the best local artisans. It has a new roof and is totally rewired. It is not overlooked by neighbours. The property is in very good condition, ready to move into, for both horses and humans. On the 29,300 m² terrain are several outbuildings, the stables and a free draining equestrian arena. This contemporary detached house from 2008 with integral garage is located on the edge of a new suburban quarter. The south-facing property comprises a studio on the ground floor and two self-contained apartments on the first floor. The studio can be rented-out, but could also be used as a professional office space. The two apartments can be used independently, but could also be connected to become one large house. So this property is very flexible with many (commercial) possibilities. Gates give access to the 1,240 m² garden. This spacious, detached and recently fully renovated country house sits on a tranquil location just outside a charming village. The tastefully decorated property is ready to move into. It has four to five bedrooms and three bathrooms. Great features are the huge entrance hall and the sunny conservatory with panoramic views. The garden is 1,140 m². It is also possible to buy an extra 3,000 m². Detached house with garage, tranquilly located in a hamlet near towns with all amenities. The house is built in 1987, extended in 1991 and modernised in 2006. French doors in both the living room and the kitchen give access to the garden. The wood burner in the dining room has a turbo and heats five rooms in total. With five bedrooms ands two bathrooms, it is an ideal family home, ready to move into. The 8,000 m² garden contains mainly lawns, shrubs and trees. This beautiful, classic stone country house was built around 1850. The traditional property has been completely renovated whilst maintaining its character. The large adjacent barn is suitable for keeping animals, but could of course also be converted into a self-containing guesthouse. The fenced garden measures 2,000 m². This spacious family house with double garage is located on the edge of a beautiful small town with all amenities. Inside we see a large open plan living room with mezzanine and access to the terrace. There are three bedrooms (with the possibility to create a fourth) and three bathrooms, of witch one en suite. A 100 metres long driveway gives access to the 3,772 m² garden. The property offers great views over the town and surrounding villages. These three houses, attached to each other, are located in a friendly hamlet, not far from Aubusson, a town with all amenities. The charming property has been partly renovated and currently consists of three independent houses. As it is relatively easy to create openings in the interior walls, it could also be used as one large house. Another option is to rent out parts of it. A gravel driveway gives access to the 2,500 m² garden with two large barns. This spacious, detached townhouse with garage and outbuildings is located in the centre of a lovely village. The property has been fully renovated, whilst maintaining many of the authentic features like the exposed beams, gorgeous wooden floors and two fireplaces. For many years now, four of the six bedrooms are successfully rented-out as a B&B, generating a good income. The huge attic is currently used for storage, but could be converted to substantially increase the habitable surface. The 1,051 m² garden contains mainly lawns and mature plants. Detached country house with gîte in the National Parc du Périgord-Limousin, close to borders of the Dordogne and the Charente in a beautiful, tranquil setting but close to all amenities. This lovely home has been completely renovated. The wonderful kitchen is fully equipped. On the first floor are four rooms with great views of the countryside. These rooms are currently used as a lounge, a study and two bedrooms. The other two bedrooms, of which one with an en suite, are on the second floor. The adjacent gîte with open plan living/kitchen and separate bedroom has its own entrance. On the 15,300 m² terrain we also see a barn and a small historic tower. It is ideal for keeping horses or other animals. Beautifully renovated stone barn set in the heart of a pretty village, giving a feeling of security and community. The house is semi-detached with a shared drive and forecourt at the front but a private entrance at the rear with ample parking space for several cars and caravan/motor home. It has been tastefully renovated, cleverly blending modern and traditional styles. With four bedrooms and two bathrooms, it is an ideal family home. The 1,200 m² garden contains a swimming pool and several outbuildings. Detached farmhouse with swimming pool and gîte, tranquilly situated in a hamlet, near villages with all amenities. The property from 1900 has been fully renovated whilst maintaining many of the authentic features like the stone walls and the exposed beams. It comprises a main house and an attached gîte. The self-contained gîte (or apartment) has its own entrance. In the 3,240 m² garden are several terraces, a swimming pool and a garage. This remarkable detached former farm with many outbuildings is located in a peaceful hamlet, yet close to towns with all amenities. The fully renovated house is already very complete, but the large number of annexes offer many options for expansion. The total terrain measures over 12 hectares. The property is very suitable for holding horses. 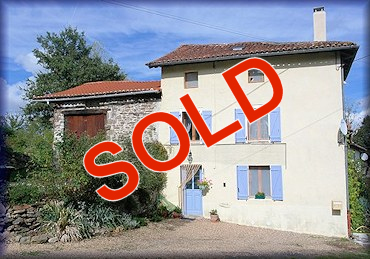 This detached, typical French cottage with large adjacent barn sits on a private location in a cul-de-sac of a small hamlet. The pretty, renovated property with open-plan living accommodation contains beautiful authentic features. With two large bedrooms with en suite bathrooms, it is an ideal family home. The large attic and adjacent barn offer possibilities to further expand the property. The 650 m² garden contains lawns and fruit trees. This spacious, detached country house with barn was built in 1869. The property has been fully renovated whilst maintaining the authentic features. With four bedrooms, four bathrooms and many other large rooms, this house is very suitable as a permanent family home. The garden measures 2,352 m². 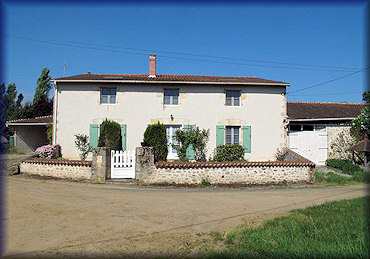 Detached farmhouse with equestrian facilities on a secluded location, not far from villages and towns with all amenities. This property has been carefully and sympathetically renovated whilst maintaining many of the authentic features. Besides the living/dining room and kitchen, both with wood burners, there are 3 bedrooms and 2 bathrooms, of which one en suite. It is an ideal family home with extensive space available for further development of gîtes or additional stabling. Attached to the house are two large barns of which one with stables. The terrain measures 8.8 hectares. This beautiful detached farmhouse with indoor restaurant, detached gîte-complex, swimming pool and huge barn, sits on a tranquil location in a small hamlet, not far from the lively town of Aubusson. The property offers lots of potential; it can of course be fully used for private habitation, but continuation of the restaurant business is an interesting option. 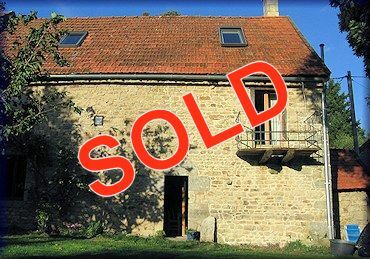 The large detached gîte-complex with six en suite rooms is rented-out successfully and the huge stone barn offers many possibilities too. On the 16,710 m² terrain is a swimming pool, surrounded by lawns and trees. Detached house with large adjacent barn, tranquilly located in a hamlet near towns with all amenities. This cosy property has been fully renovated to a high standard in 2009. The spacious, fully equipped kitchen/dining room is a real eye-catcher. The first floor has oak parquet floors throughout. The attached 190 m² barn offers possibilities for expansion. The property is in excellent condition and is ready to move into. The well-landscaped, fully fenced garden measures 3,500 m². This spacious country house (type "Maison de Maître) with large and beautiful annexes is situated in a small hamlet, surrounded by meadows and hills. The property was built in 1879 and in 2005 it was fully and professionally renovated and decorated. The annexes too are in perfect condition and offer many possibilities. On a terrain of 7,000 m². This spacious farmhouse with adjacent large barn and summer kitchen is located on the edge of a quiet hamlet. This property with its 4 bedrooms, of which one on the ground floor, and 3 bathrooms offers many possibilities. It has been successfully run as a B&B and a new owner could continue this business, or even expand it. The barn can be converted for this purpose, or to increase the habitable area if desired. The attic too has conversion potential and could easily be used to create extra bedrooms, bathrooms, or even a self-contained apartment. In the well-landscaped and fully fenced 7,382 garden is a luxurious heated swimming pool and many other places to relax. This gorgeous detached country house with barn, stables and a conservatory sits on an idyllic location, surrounded by its private parkland. The house has recently undergone some high quality renovation work such as roof repairs with new ridges added, double glazed windows installed throughout the property, a new solid oak front door has been fitted and a new log burner has been added in the ground floor lounge. A long driveway gives access to the 1.33 hectares terrain that fully encloses the house. This large detached farmhouse with swimming pool and barns sits on a tranquil location in a charming hamlet bordering the river Creuse and close to all amenities. The property has been completely renovated. It comprises three bedrooms , a studio , two bathrooms, kitchen, dining room and a nice big lounge with a large authentic fireplace. There is a large attached barn with mezzanine floor. At the other side of the house is a smaller converted barn, which is now a garage for up to four cars. The rear of the property boasts a huge south facing terrace overlooking the 5,000 m² terrain: a mature garden with trees, rockery , a pool, a small vegetable plot and paddock with horse cabin. This very spacious, detached country house is located in a tiny hamlet, surrounded by beautiful nature. The property has been professionally renovated in 2008. Inside are no less than seven bedrooms and six bathrooms. The current owners run a successful B&B. Besides that, there is a barn in the 1,300 m² garden with planning permission to convert it into a gîte. This large semi-detached property with two self-contained apartments and huge barns is located in a small hamlet. The house has recently been renovated and comprises five bedrooms and four bathrooms, making it an ideal family home. The two apartments have their own entrances and can be rented-out to generate an extra income. The maintenance-friendly 4,750 m² garden also contains a beautiful stone detached building, that could also be converted. This gorgeous contemporary villa with integral garages sits on secluded location, surrounded by woodland, yet close to a small town with all amenities. The property was built is 1979. It is spacious, comfortable and has a very practical lay-out. It can be maintained easily; all bedroom floors are wood and all the other rooms have tiled floors. The large, light kitchen is fully equipped. The villa is accessed through a private asphalt driveway that leads to the 28,200 m² terrain. The property offers great, uninterrupted views. Semi-detached, recently renovated property in the centre of a lively small town. The property comprises both an owners home and a bar/restaurant plus a fully converted two bedroom barn. 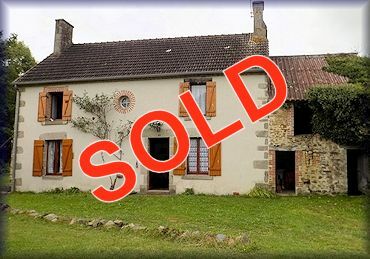 If you want to enjoy the French life while making an income with a busy already established business with an excellent reputation with regular clientele, then this is the perfect place for you. The plot measures 520 m² with an above ground swimming pool and an inviting terrace with nice views of the river. This wonderful detached house with garage and heated swimming pool is situated on the edge of a delightful and lively village in the Corrèze, at just few kilometres from the Dordogne. The property was built in 1978 and has been professionally renovated to include 4 bedrooms and 2 bathrooms. In the well-landscaped 14,603 m² garden is a stunning covered and heated saltwater swimming pool that is used from March through October. Detached bungalow with two barns. This property is equipped with all comfort and has spacious rooms. The two barns offer possibilities for expansion. The three buildings are positioned around a courtyard and surrounded by the 7,659 m² terrain. Detached villa with two double garages in a small village, close to towns with all amenities. This spacious house has been completely renovated whilst maintaining many authentic features like the exposed beams throughout. It meets today's high standards in energy saving. With five bedrooms of which three with en suite bathrooms, two living rooms and a fully equipped kitchen, it is a real family home. Both living rooms and the kitchen have French doors leading to the large terrace. The house is in very good condition and ready to move into. The 9,000 m² garden contains several outbuildings with mixed woodland, lawns and shrubs. Beautiful stone house in perfect condition with heated swimming pool and garage on 2.317 m², ready to move into. Walking into this house with many original details feels like walking back in time. The nostalgic fireplace, ovens, beautiful old beams, the original tiles on the floor, give the place a warm atmosphere. This former farm is surrounded by garden, meadows on on one side an impressive forest. Terrain: 1,5 hectares. Detached village house with spacious garden, several barns and a second house with garage on 3.600 m². This charming, detached farmhouse from 1826 is quietly located in a small hamlet bordering a forest. The property has been renovated whilst maintaining the authentic features. Adjacent to the kitchen is the large former stable. It is currently used as a utility room, but has every potential to become a classy living room, dining room or TV room. In the mature, 5,200 m² garden is a luxurious swimming pool with inviting terrace. This gorgeous detached villa with integral garage sits on a tranquil location on the edge of a village, not far from towns with all amenities. The character house contains many authentic features. With four bedrooms and two bathrooms (of which one of each on the ground floor) and the possibility to further develop the 105 m² basement, it is an ideal family home. Gates gives access to the fully fenced 5,000 m² terrain. Detached, spacious country house with large garage and above ground swimming pool on a tranquil, rural location, yet close to small town with all amenities. Patio doors on the ground floor give access to the spacious entrance hall. On this floor are two bedrooms and a utility room with shower, basin and toilet. The living accommodation is on the first floor with a kitchen/diner and two lounges. On the top floor there are 3 bedrooms and a family bathroom. Attached is a large double garage, rendered in the same colour as the house. 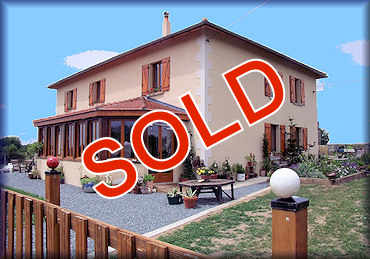 The house has recently been renovated and is in good condition. On the 10,000 m² terrain are several terraces and a swimming pool. The rest of the substantial land is grass rising up behind the house. 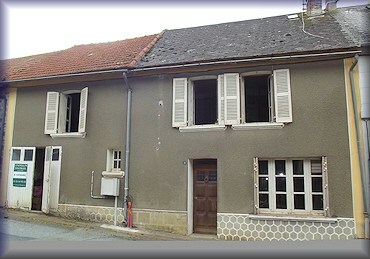 This large semi-detached property, comprising a spacious house with former bar and an attached smaller house, a double garage and an old forge, is located in a charming village opposite a chateau and close to all amenities. The property was renovated in 2009, but there is still room for further development. The bar is currently closed, but can be re-opened by the new owner. The licence is for sale separately. The terrain measures 1,800 m² and the enclosed rear garden contains mainly lawns with fruit trees. A unique property with many possibilities whilst currently operational as a restaurant/bar, gîte and camping, this does not have to be the case. It would make a fantastic home, has a unique riverside location, an old flour mill with more renovation possibilities available. Besides the owner's house, there currently is a bar/restaurant with professional kitchen, offering room for approx. 40 guests. The two gîtes and the apartment are rented out successfully and the camping spot offers six places. The 1 hectare terrain with terraces for guests offers wonderful views of the river. This gorgeous property comprising a country house with indoor apartment and a mill to renovate, sits on a great location in a hamlet, yet close to all amenities. The country house used to be a barn and was converted into a luxurious, spacious home with apartment. The apartment can be rented out to generate an attractive income. 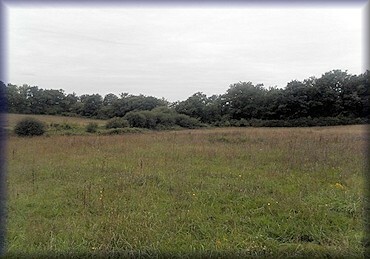 The 3.15 hectares terrain is divers and contains landscaped parts and woodland. In addition to that, there is an impressive 2.5 hectares carp lake. Gîte complex comprising four beautifully renovated properties, all located at the end of a small hamlet down a quiet lane. 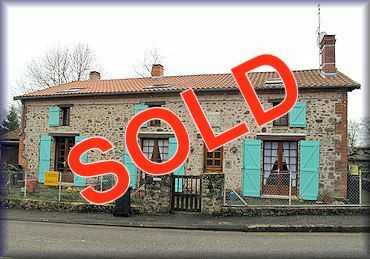 Currently running as three gîtes and personal living accommodation. The gîtes are tastefully decorated and offer everything guests could wish for when enjoying their vacation. All four properties are in excellent condition. In the 6,641 m² garden are two above ground swimming pools with decking area for sun loungers, a children's adventure play area and two beautifully designed Mongolian Yurts. The terrain offers ample parking space and there three more outbuildings: a garage, a large hangar and a barn to renovate. This charming, detached farmhouse from around 1900 sits wonderfully isolated on the beautiful countryside. The property has been fully renovated over the past years whilst maintaining its original character like the gorgeous 'pierre' walls, exposed beams and an impressive fireplace in the living room. In the large 1.5 hectares garden that consists mainly of lawns is an above-ground swimming pool. This detached country house with garage and stables is an equestrian dream. It sits on a tranquil location, the only house on a small road, near a village. The spacious property has been renovated to a high standard and the large number of rooms on both the ground and the first floor can be used for many purposes; renting out some of them is an option too. On the 3.5 hectares, very well-landscaped terrain is a large barn with stables and an outdoor stone dust arena for schooling: riding and carriage driving; there is a large pond and there are terraces on both sides of the house. This detached country house (fermette) with 2 barns attached, a detached barn, a detached cotage and a lovely, fully renovated holiday home sits on a tranquil location at the end of a hamlet and close to two towns with all amenities. The main house is fully renovated and ready to move in. With 4 bedrooms and 2 bathrooms it is an ideal family home. 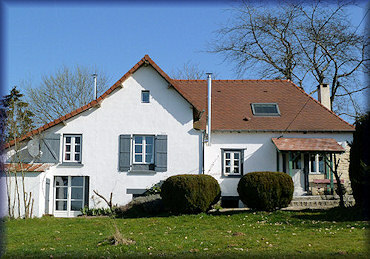 The spacious gîte is situated at some distance from the main house and has its own garden. In the 13,000 m² garden is an above ground swimming pool. Detached country house with outbuildings, tranquilly located in a village, close to towns with all amenities and the popular Lac de Saint-Pardoux . This spacious property with five bedrooms, two bathrooms and a large basement is an ideal family home. It is a very light and airy house with new French doors and a mezzanine in the living room, a fireplace and exposed beams. Planning permission has been granted for a swimming pool. The property is in good condition and ready to move into. The well-landscaped 10,000 m² garden offers full privacy. This fully renovated, impressive detached house with ancient watermill, large atelier/workshop and other annexes sits on a very secluded location, surrounded by unspoiled nature alongside the river Tardes with the closest neighbours at about 1 km and yet at just 4 km from a lovely small town with all amenities. The beautiful house with seven bedrooms and five bathrooms offers more than enough space for a large family. 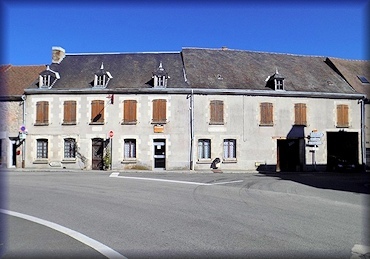 The detached atelier/workshop of 180 m² and the detached mill of 290 m² could be converted into gîtes or Bed & Breakfast if desired. On the ground floor of the mill is a wonderful, large fully equipped bar / summer kitchen with adjacent veranda. On this veranda is a 4/5 person hot tub spa. A long driveway gives access to the 2 hectares terrain with of total of 36 exterior lights on all terraces, the courtyard and the driveway. Detached 18th century stone farmhouse with attached duplex apartment and swimming pool, tranquilly located near a village with all amenities. This beautiful, spacious property has been renovated to a high standard with charm and character. All the accommodation is tastefully decorated throughout with many original and quality features. The duplex apartment is of a reasonable size with 2 bedrooms and 1 bathroom. A secondary income has been established through the rental from both of the accommodations. The well-landscaped 10.263 m² garden offers full privacy. This former family hotel sits romantically surrounded by woodland and lakes. It is well suited for B&B. Ideal for a couple, with no employees required. The property is offered including the complete inventory. Impressive gates give access to the 5,490 m² terrain. The garden is an oasis of tranquillity and this place is classified in the hotel guide as ‘Auberge du Silence’. This well-sized sheep farm with detached country house and many outbuildings sits on a tranquil location in a remote hamlet, yet close to towns with all amenities. The house has been completely renovated. The outbuildings are currently mainly used for the sheep, the equipment and to store hay. The large 59,000 m² terrain contains meadows, 4 hectares of woodland and a small private garden by the house. This detached village house from 1660 was fully renovated in 2005 by an interior decorator. The property is ideal for people who love authentic details like large open fireplaces, old terracotta tiles, built-in cabinets, a spacious staircase, spacious, light rooms and high ceilings. Inside the house, in a large separate area, is a heated swimming pool with sauna. Behind the house is the south-facing, 4,000 m² fenced garden. Large Manor House with separate cottage, situated in the beautiful sloping countryside, not far from towns with all amenities. Both the 16th century main house and the cottage have been renovated to a very high standard whilst maintaining many of the authentic features. The 3 storey main house offers a huge open plan living, dining room and fully equipped kitchen; the gorgeous mezzanine and the high ceilings make it very light and spacious. There are 4 bedrooms each with its own bathroom. The charming two bedroom cottage is built on a hill so both floors have direct access to the gardens. The huge 600 m² barn is also renovated and offers many extra possibilities if desired. On the 5.9 hectares terrain is a private lake of 7,500 m², ideal for swimming. Detached villa (2012) with covered, heated swimming pool on an isolated location, yet close to towns with all amenities. This modern, economic, solar heated house requires very low maintenance. The outside walls of the house are covered with Scandinavian Larch, which does not need painting or treatment. The house is fully furnished, in excellent condition and ready to move into. The 56,600 m² garden with swimming pool contains mainly lawns, surrounded by forest. A very impressive ‘Maison de Maître’. This detached property from the 17th century has a rich history which is among others shown by the tower and loopholes. It has been renovated with love over the last years, during which the authentic features were maintained. Besides the main house there are several practical annexes that can be used for many purposes like an extra house, hobby or commercial activities to combine living and working on the property. On a sheltered location in the 1.6 hectares garden is an above-ground swimming pool with an inviting terrace and from the back, the wide panoramic views are fantastic. 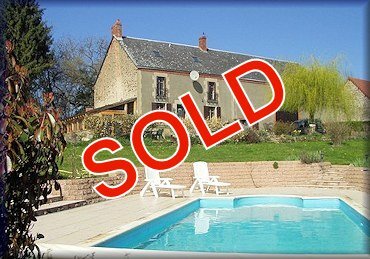 Château with heated swimming pool on a tranquil location, yet close to a town with all amenities. This beautiful property was built around 1940. With 4 to 5 bedrooms, 4 bathrooms and a large attic to create even more rooms if required, it is a magnificent family home. It can also be used as two separate dwellings. 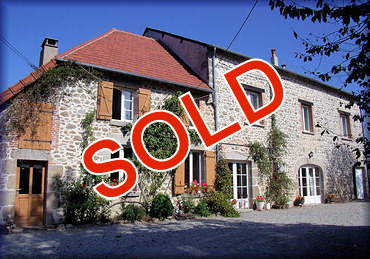 The château is sold including all appliances. Gates give access to the driveway and the fully fenced 7,897 m² garden. Traditional stone farmhouse; established B&B and camping business, plus 3 gîtes, a smaller house to renovate, a very large 2 storey stone barn, a studio/conservatory other barn spaces, situated in the Nature Reserve Park of Millevaches and close to a small town with all amenities. The house has been lovingly restored and retains much of the original character and features and has a very cosy feel. On the ground floor is a large lounge/dining room and a fully equipped kitchen. Upstairs it has eight bedrooms four bathrooms. The three gîtes are made to a high standard and are fully winterized; the garden studio is large and very light, making it ideal for small courses as well as for living space. The small 3 storey house is completely sound, newly pointed, with all services laid in ready for renovation. The camping site has 27 pitches. It has been run by the present owners for 10 years building a good reputation with many returning clients. The total terrain measures 2 hectares. Detached country house with large detached guesthouse, swimming pool and garage on a secluded location, yet close to towns with all amenities. This large property was built around 1790. It has been completely renovated between 2000 and 2003 whilst maintaining many of the authentic features. The rooms are all very spacious. The huge kitchen with dining room covers almost the entire ground floor. Most of the first floor consists of the living room and the master bedroom. The other bedrooms are on the second floor. The guesthouse is even bigger with large reception rooms on the ground floor. The 5 bedrooms, 4 of them with en suites, are on the first and second floor. The house is therefore very suitable as a B&B and to rent out to large groups. The 28,316 m² terrain contains mainly lawns, trees and an orchard.